Enjoy the inspiring espresso of Julius Meinl. Mocca Forte is a darker roast of original Brazilian Arabicas, which results in a strong and earthy taste with a full brown crema that expands into an inspiring coffee. My new favorite capsule. Not bitter and delicious! Coffee made from this pod has very rich flavor and is not bitter. It's my favorite choice. After searching for the best deal on espresso pods for my cbtl machine, I ordered a selection of the julius meinl pods. The Mocca Forte capsules were our favorite- the coffee is rich and floavorful- not bitter or watery like a lot of the cbtl pods. I've probably ordered about 400 pods by now! I bought these hoping their flavor would delight, and wasn't disappointed. 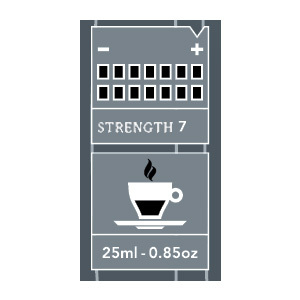 The best part is that the quality of a "cafe Americano" made with most any of the Meinl capsules is excellent, robust and not bitter. I bought the CBTL machine just so I could still drink my Meinl Austrian coffee using easy to use capsules. (I couldn't find Caffitaly machine that was wired for the US) I have been drinking Meinl coffees for years using the ground beans through my Breville espresso machine to make cappuccinos. Now I can enjoy the coffee using capsules. By adding a small amount of sweet cream coffee creamer, It tastes very much like my cappuccinos. 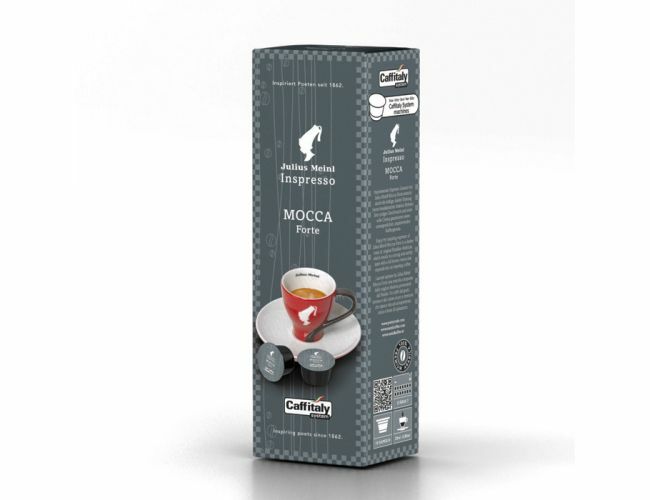 Now having reviewed the Tango and the Mocca these are excellent products and as advertised excellent strong coffee for Caffitaly systems. These are among the very best I've enjoyed and superior to the CBTL USA products. Great espresso and cappuccino blends. Also excellent 8 Ounce Coffee too! !